2. 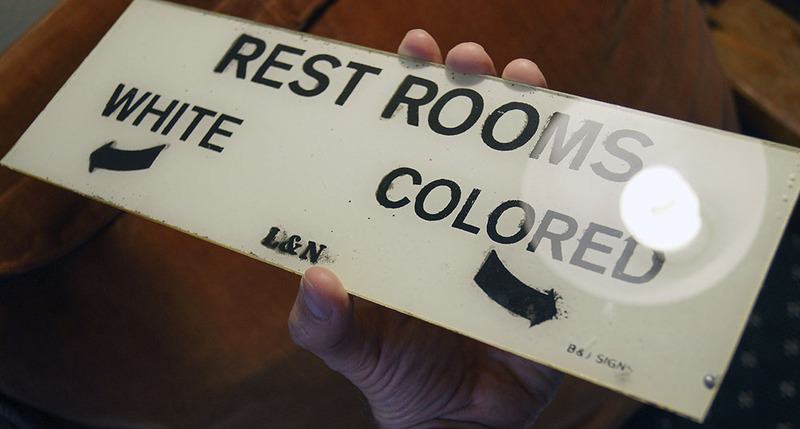 Tin sign is 3×12″, with black letters on white background and says “Colored Served in Rear” and is in Very Good condition. 4. Sign on yellowing paper is 3 1/2 x 12″. It appears to be in its original frame and says “Restrooms, White (arrow pointing), Colored (arrow pointing), L&N, B&J signs 1929″. I purchased these signs in 1997 from a man who bought them at an Estate Sale; the signs belonged to the woman conducting the Estate Sale.